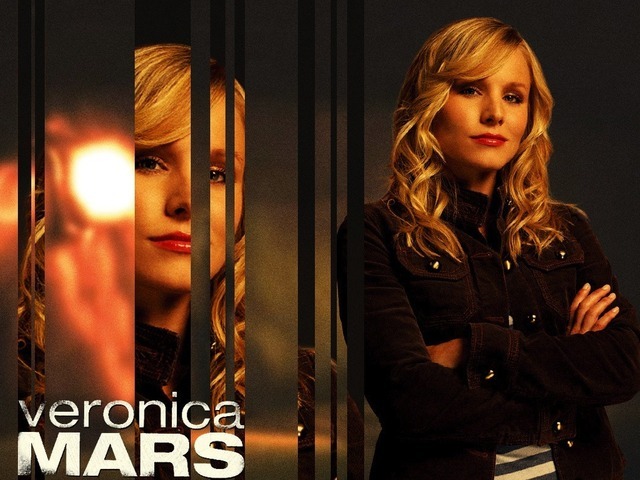 The ‘Veronica Mars’ Sets Its Release Date!!! Only three more months until we have our very own fan funded ‘Veronica Mars‘ movie with the entire cast coming back to reprise their roles for another adventure. Back in March of this year, ‘Veronica Mars‘ creator Rob Thomas took to the crowd funding website, Kickstarter, and asked for money from the millions of ‘Veronica Mars‘ fans. The goal was set at $2.5 million, which would only be funded if that goal was met. In less than 24 hours, that goal was met and destroyed. Originally, the film was going to be released in a few select cities, followed by an on demand release. Well I guess demand is high for this film and fans are still hitting the social networks hard with their excitement, so Warner Bros. has agreed to give the film a big wide release. We still don’t know the number of theaters it will open in, but expect it everywhere now. Thomas shot the film in 23 days over this past summer and is now touching up the effects and putting together the soundtrack. He also said that at recent test screenings, the audience loved it. In this new film, things take place 10 years later with Veronica returning to Neptune, California to aid her former boyfriend Logan (Jason Dohring) who has been accused of murdering his famous girlfriend. The entire original cast is back, and since this is 10 years into the future, you can expect a 10 year high school reunion with your favorite characters. I cannot wait to see this. And if this does well in the theater, I imagine Zach Braff’s project has a lot to look forward to and will also pave the way for future projects. ‘Veronica Mars’ Is Coming Back As A Feature Film With Our Help!!! Here’s Liz’s Review of ‘Veronica Mars’ The Movie!!! ‘Veronica Mars’ Is Getting a Spinoff Series!! This entry was posted on Wednesday, December 4th, 2013 at 5:53 pm	and is filed under Film, News, Television. You can follow any responses to this entry through the RSS 2.0 feed. You can skip to the end and leave a response. Pinging is currently not allowed. « Warner Bros. Has Cast Wonder Woman!!! She's just someone I used to get to the camp. She gonna be of any more use to us?